Once each quarter, the Aptible product team hosts a brief update webinar to share what’s new with Enclave and Gridiron. Yesterday, we hosted our July update webinar, highlighting all the new features released for Enclave this quarter and demoing how to setup your security management program with Gridiron. In case you missed it, you can watch a recording of our July webinar below. You can grab the transcript and the slide deck in our resources section. And, we provide a full recap of the event in this blog post. Register now for next quarter’s webinar, which we will host in October. We opened the webinar with a quick overview of Supercronic. 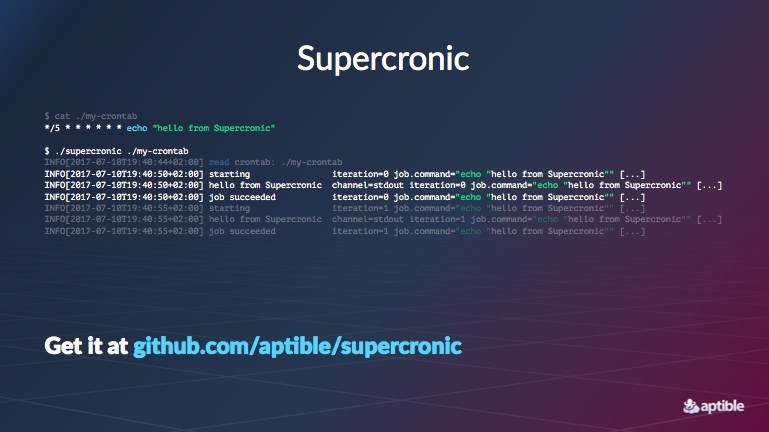 Supercronic is our new open source job runner that fixes the problems that occur when using traditional Cron implementations in containerized environments. We’re excited about Supercronic because, while it’s a drop-in replacement for traditional cron, it leaves environment variables alone, passes job output to stderr, and logs job failures and timeouts, which makes it a perfect fit for containers. You can read more about Supercronic or check it out on Github. Enclave is a container orchestration platform for developers working in regulated industries. We are working towards making Enclave the best place to deploy regulated and otherwise sensitive projects. To that end, over the last quarter we implemented a number of important new features that make it easier to deploy and manage apps and databases on Enclave. Arguably, the implementation of Container Recovery represents the most significant change to Enclave this quarter. 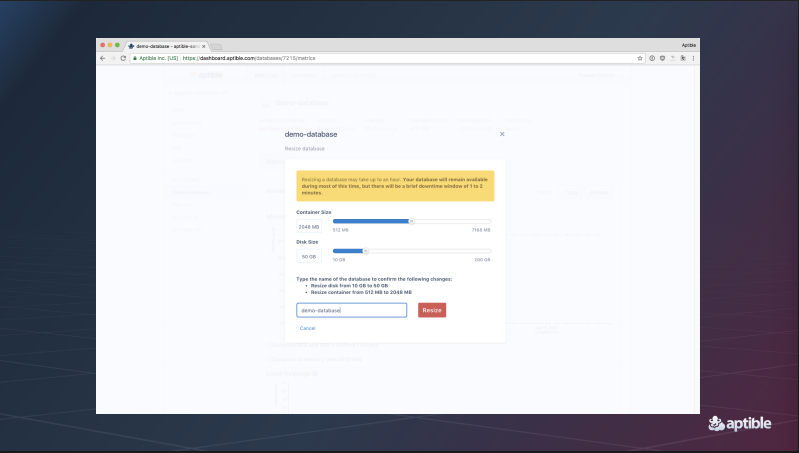 We’ve previously covered Container Recovery extensively in our Changelog as well as in our docs, but given the magnitude of the change it bears a quick review here. In sum: Container Recovery automatically restarts your application and database containers when they exit. When an app or database container exits, we’ll restart it in a pristine state. The best part? You don’t need to do anything to take advantage of Container Recovery. It’s enabled for all your apps and databases automatically. In our April webinar, we indicated that self-service scaling of databases was coming soon. It’s now here. With some exceptions, you can now resize databases at any time, with minimal downtime. This allows you the flexibility to scale your disk and RAM footprint as your workload and requirements change. You can read more about Self-Service Database scaling in our Changelog. This quarter, we also launched three features to make it easier to deploy apps on Enclave. 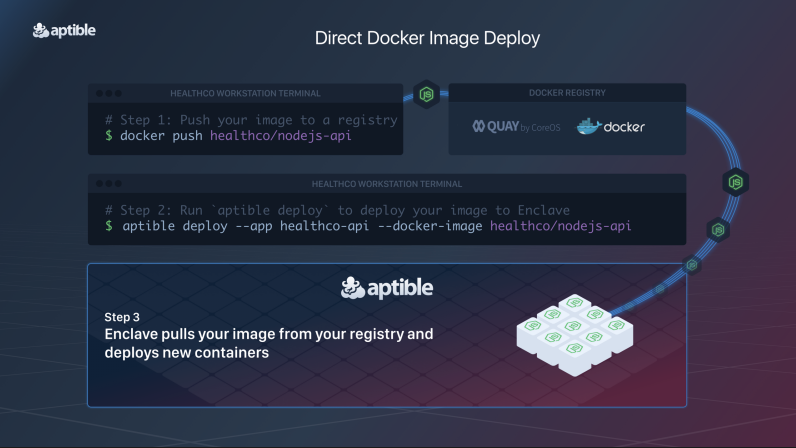 You can now deploy directly from Docker images, no git required. This will allow you to reuse existing Docker images and take full control over your build process. Read more about Direct Docker Image Deploy in our Changelog. Along with this change, Procfiles are now optional. This enables you to reuse the same codebase across Enclave and other container orchestration platforms like Kubernetes and Docker Swarm. 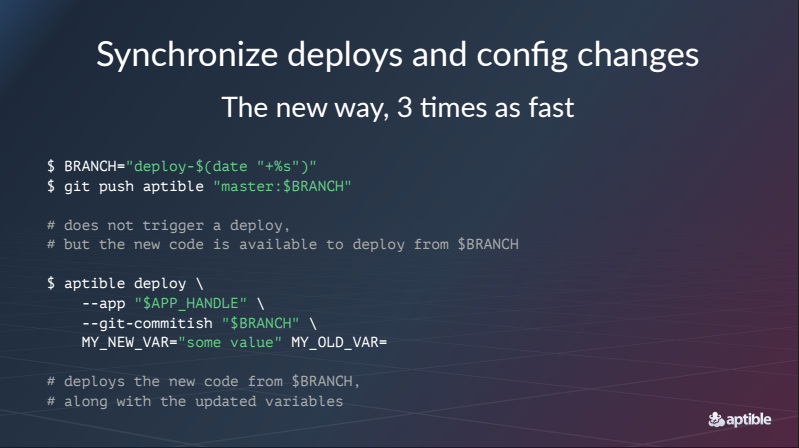 Finally, you can now synchronize deploys with config changes. This allows you to deploy at the same time you update your config, so there will be no intermediate step where you’re running the old code with the new config or vice versa. Gridiron is easiest way for developers to build and run world-class data security programs. It turns information security requirements into repeatable processes while managing all the documentation required to demonstrate that you’re complying with stringent compliance protocols such as HIPAA, ISO 27001, and SOC 2. During your hands-on guided implementation with the Aptible team, we’ll train you on how to setup and manage a security program. 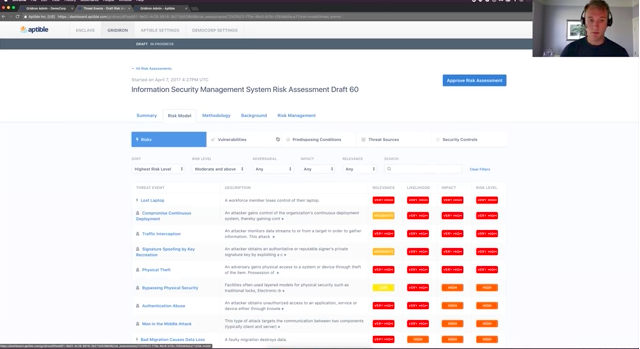 By the end of the implementation, you’ll use Gridiron to determine a set of baseline security controls and prepare your first set of security documentation (such as your Risk Assessment, Policies and Procedures and Workforce Training). Your deliverables, such as your risk assessment report, your policies, and your training materials, will automatically change along with your organization. Gridiron updates your docs as your organization evolves. In the webinar demo, we go into much more detail on using Gridiron to track and measure risks and vulnerabilities, train your team on security and compliance, and respond to incidents as they arise. Our next product update webinar will be hosted on October 25, 2017 at 11am Pacific / 2pm Eastern. All registrants will receive a webinar recap and the recording shortly after the conclusion of the webinar.